It is my honor and pleasure once again to be able to address to you after our recent meeting in India as TITC. 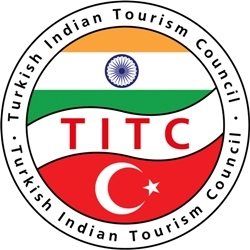 We are all here as a large TITC family team of tour operators, hoteliers and restaurant owners to further enhance our bilateral ties, provide and accomplish the expectations of Indian market in every possible aspect with our continuous goodwill and expertise no matter what this geopolitical situation causes and creates problems of horror in the Mideast. Unfortunately such acts of terrorism is the reality of early 21st century which will continue for a while. However, this should not in any way to stop us from our mutual efforts and interactions in boosting tourism between our two countries. With sincere thanks to and valuable contributions from TAAI, TAFI, OTOAI and our Indian Colleagues and Business Partners we will try to make Turkey as one of the best favorable destinations in many fields of tourism and travel. Turkish national carrier, THY, has increased the daily flights and changed them to wide-bodied long haul flights for the convenience of Indian market to Turkey and further West to Europe via Istanbul. As you already know THY now has daily flights of B-777 from New Delhi and Mumbai in addition to the already existing flights schedule. Furthermore, please kindly note that the new and easier visa program is in effect as of April 1st, 2016. VFS Global now offers convenient visa application procedures through 18 cities in India. Life becomes easier and obtaining visa is much faster. We have come to understand and appreciate that Turkey has gradually become one of the destinations for marvelous and exciting Indian traditional wedding ceremonies thanks to the hotel facilities, reasonable quotes, warm hospitality of Turkish people, reasonably priced more daily flights and a keen attraction in the Turkish media and among the Turkish people. Any wedding ceremony that takes place in Turkey definitely attracts the social media and creates a lot of good publicity. We may add a new feature that may get more popular among the film industry in India. Indian Boliwood Film Industry has discovered Turkey as a new and feasible destination due to number of good reasons. We should be able to benefit from this new attraction and use it in our favor to further promote bilateral interaction in tourism and travel between our two countries. With all these positive developments and interests toward Turkey I look forward to making Turkey a major destination for SOLO TURKEY programs, stopover destination for some days to discover the beauty and charm of places like Istanbul, Cappadocia, Ephesus and Pamukkale as an eye opener to the first time traveler and finally boosting Indian weddings and Boliwood attractions.